Think for just a moment about your current relationships, your past relationships and the relationships that you would like to improve for the future. How do you feel when you think about these relationships? Are you filled with a sense of joy or a sense of dread? It’s easy to get bogged down when things don’t go the way we would like them to in relationships. It’s even easier to think about all the disappointments from the past. Focus on all the things that are going wrong in our current relationships and despairing that the future can be any different. The past gets in the way of our happiness because we are so busy collecting evidence to support a limiting belief that love is hopeless, unavailable, risky, not worth it. Does this sound familiar to you? What negative beliefs about love and relationships are holding you back from enjoying your life more fully? Who might you need to forgive so that you can move on with your life? Where can you make changes in your life that will make the rest of your life the best of your life? What’s the cost if you do nothing to change where you’re at and are you willing to pay that price? What would it mean to you if you could learn to love again, to trust that the past need not repeat itself? 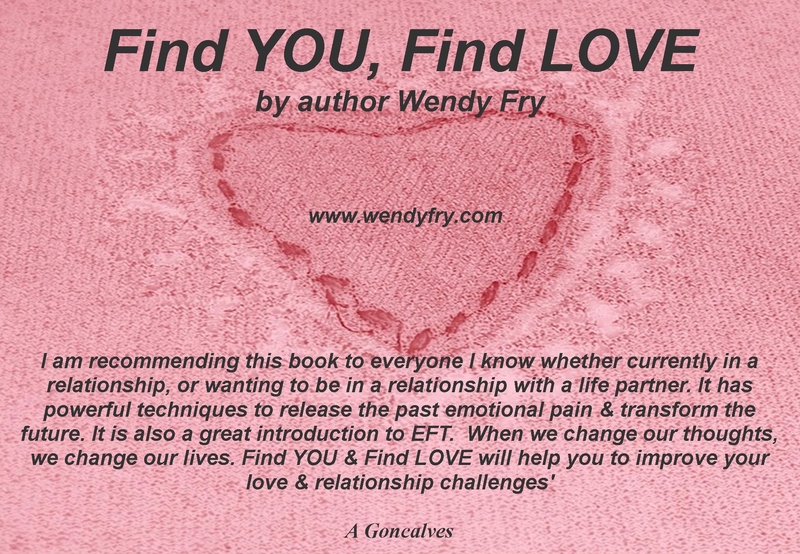 The review below discusses how reading and applying the techniques shared in Find YOU, Find LOVE allows you to release the past and transform the future.